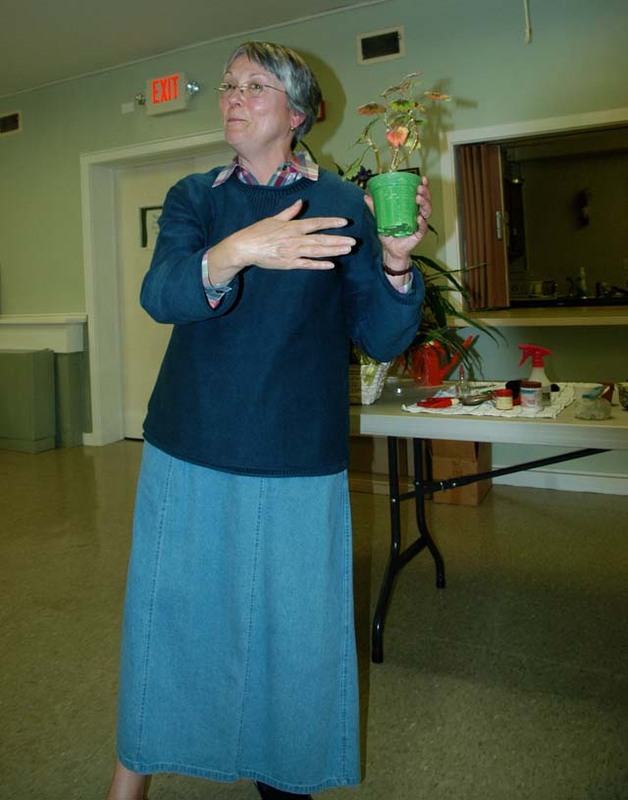 Leslie Dempsey showing us how to love our houseplants. 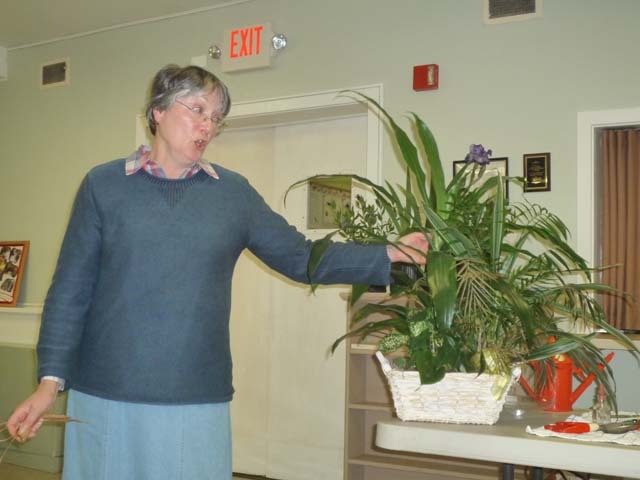 Leslie giving ideas on houseplant care. 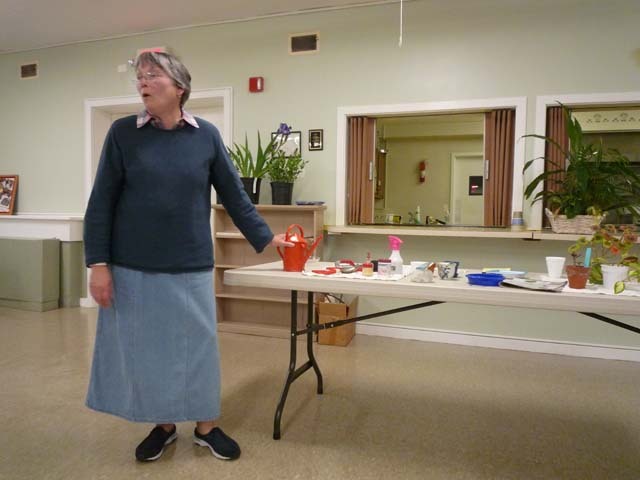 Leslie Dempsey with the tools of her trade.